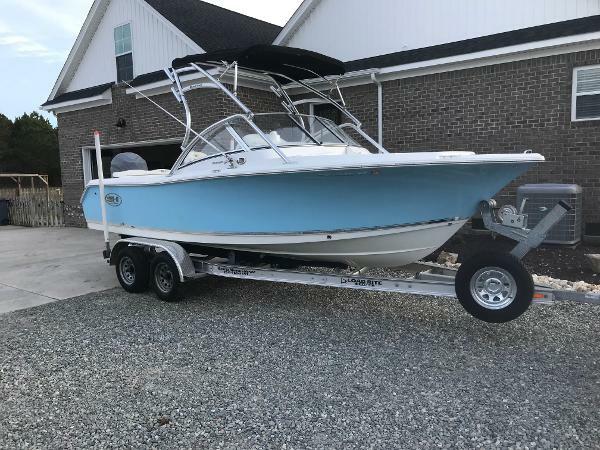 SOLD 2018 Sea Hunt Escape 211 LE #1 Selling Salt Water Fishing Brand in the Industry 13 years running! #1 Selling 21 Foot Dual Console in the Industry Period! The Escape Series Dinner by boat? 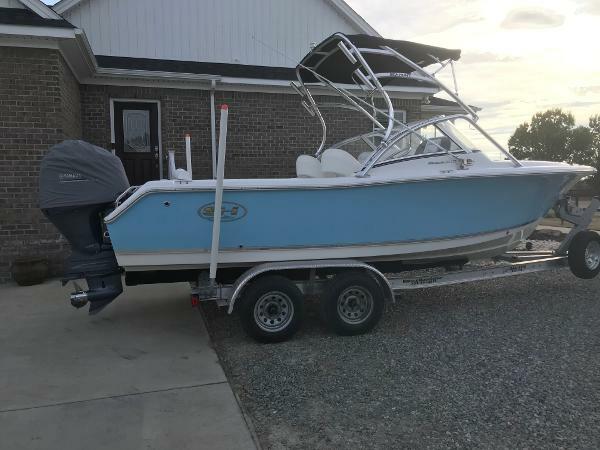 Waterskiing with the kids? Or a day of island hopping and exploring? Our Escape series is just that..."An Escape". A way to break free from the ordinary, and enjoy the extraordinary. 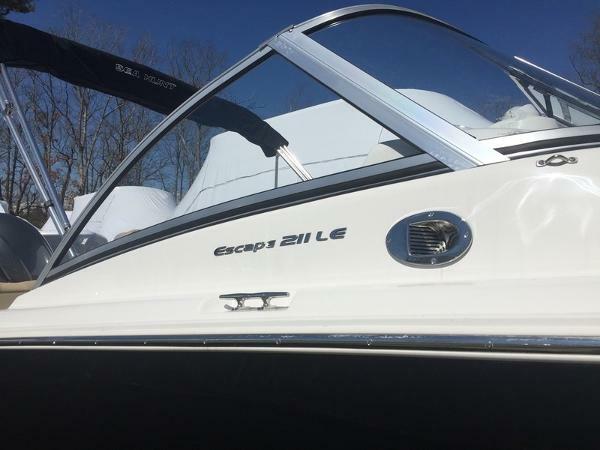 Our Dual-Console Escapes are "All-Around" boats; capable of catching fish, pulling wakeboarders, and taking your family and friends for a sunset cruise. 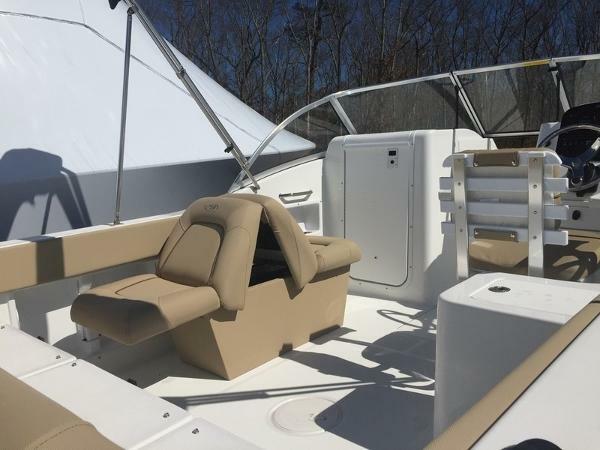 With cushioned lounge, bow & bench seating; large console storage with room for a porta potty; floor storage, and built-in cooler space; Our Escapes make for first-class, all-around family rides! 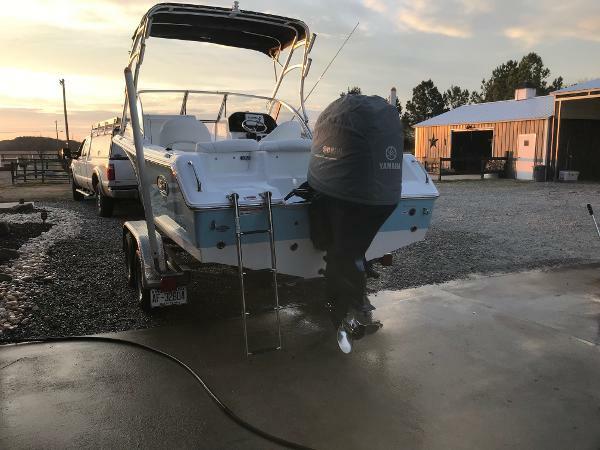 Options: Yamaha F150 XB Four Stroke Outboard Bimini Top Passenger Lounge Side Curtains Windscreen Aft Curtain Tilt Seastar Hydraulic Steering Stainless Steel Prop Titanium Grey Full Hull Color #1 Selling Salt Water Fishing Brand in the Industry 10 years running! #1 Selling 21 Foot Dual Console in the Industry Period!